Commercial Insurance has many aspects to it, in terms of insurable interest. 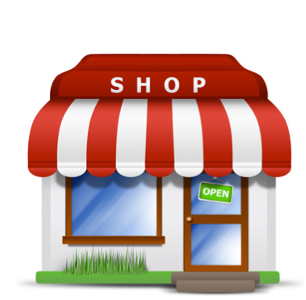 You have to take into consideration things like shop front cover and stock cover, and even public liability can play a big part. It can all get very confusing, very quickly. In case anything happens that may cause a loss to you or your business, you want to make sure that you’re covered sufficiently to receive the compensation you need. When it comes to your business and its future, this is of paramount importance. Why Choose One Sure for Commercial Insurance? At One Sure, we’re happy to do things at your pace, making sure that everything within your Commercial insurance is clarified with you whilst our experienced sales advisors get it covered at a level you are happy with, for a price you can afford. This is so you can continue to go about your business, without any worry that you are insufficiently covered. We work with a board of insurers that is over 40-strong to secure the best deals for you, whilst maintaining a high level of cover that ensures that your business is protected against any possible loss of earnings, business interruption, or vandalism/theft. Our sales advisors have a strong working relationship with many of the UK’s top insurers, so you can guarantee that you won’t find our prices or deals elsewhere in the market. Once you are insured with us, we make sure we’ve always got you covered. Whilst offering an array of optional extras exclusively to our customers, our dedicated Customer Service team is open from 9am until 5:30pm Monday to Friday, and 9am until 2pm on Saturdays, to deal with any queries or resolve any issues that you may have. To make sure that we are only ever a phone call away, we also have a claims line that is open 24 hours, in case you should ever need us under irregular circumstances. If you are looking to speak to us about one of our business-minded Commercial Insurance policies, or would like to enquire about a quotation from one of our sales advisors, please call us free today on 0800 107 1264, or try our mobile-friendly number which is 0330 100 7358. If you don’t wish to call us, please fill out our simple online form, and we’ll give you a call as soon as we can! Small businesses do as much as corporate giants to make up the backbone of many industries across the country, yet this doesn’t mean they should be without the correct insurance cover to protect them against any financial loss. Make sure that you have adequate insurance from One Sure to protect your business as well as you can. Take Away Insurance is a specific branch of Commercial Insurance – it covers many different aspects of the business, such as stock, food and money. The fact that it can cover anything from the shop front, to employees and even the general public is what makes Take Away insurance so versatile – you can choose different levels of cover for each field, making these policies completely tailored to your needs. Pet Shops require a number of different insurance options boxes to be ticked when it comes to having insurance cover. There’s the animals themselves, any enclosures or habitats, and then you and your customers. With specific insurance that provides many different cover options such as stock, employer’s liability and contents, you can rest assured that commercial Pet Shop Insurance is right for you. Tattoo shops, or parlours as they’re also known, are becoming increasingly popular around the UK, and the insurance is growing in demand too. It’s vital to make sure that you have the right Tattoo Shop Insurance to provide you with adequate compensation in case anything should bring your business to a halt. Click here to see how One Sure can help you. Also known as Professional Liability Insurance, Professional Indemnity is designed to help protect you and your business, if claims are brought against you by a client due to a problem with work you have completed for them. As a business owner, it should be one of your highest priorities to make sure you have the correct level of cover in place in regards to this.